Lionesse is known the world over for its high-quality hair care tools and luxurious skin care essentials. One of the company’s latest lines is Lionesse Gem, which features five lines of ultra extravagant serums, creams and masks that deliver jaw-dropping results. The most lavish of this line is the Diamond collection. The Lionesse Diamond collection includes four swanky products infused with real diamond powder to help improve your skin and transform your complexion. Diamond Rejuvenation Facial and Eye Masks offer spa-like results at home. Included in the collection are 14 whole-face masks and 12 mini masks for the eyes so that you may pamper yourself every four weeks for over a year. Diamond Serum includes fruit extracts, rosemary and lavender oil to help bring out a youthful complexion. It’s the first step of the Diamond skin care routine and should be used day and night. Infused with avocado oil, vitamins and caffeine, Diamond Cream moisturizes deeply and leaves skin looking fresh and lively. For use once or twice a week, the Diamond Emulsion Capsules are your secret weapon for marvelous looking skin. Made with sodium hyaluronate and floral extracts, the silky cream of these capsules is like food for your skin. There aren’t many (if any) products that can make this claim, and it’s certainly one of those products that are sure to excite any woman who enjoys the finer things in life. In addition to the precious gemstone, all of the products in the Diamond collection contain lavish ingredients that are proven to calm skin, diminish the look of wrinkles and add a youthful glow. The addition of the monthly masks is a nice touch, offering busy women a way to get their spa fix at home. Each product in the line offers its own benefit, and while they are designed to work together, they can also be used separately. The Diamond Serum, for example, can be used alone in the morning as a primer for foundation. With a price tag of $6,000 for the collection, the Diamond line of products is definitely not something you’ll find at your local drugstore. At that price point, you won’t even find it at the mall. Clearly, this isn’t a line for everyone. These products are geared towards a woman that is willing to spend the big bucks to see beautiful results. However, if you’ve been considering plastic surgery or some other expensive procedure to help liven up the look of your complexion but haven’t gone through with it because you worry about the pain or possible bad results, the Diamond line may be a good alternative. If you have the money and you want an extra-exclusive skin care line that will give you dazzling results, you can’t go wrong with the Diamond collection from Lionesse. this will help me to get back the glow in my skin!! recently turned to you guys and ditched the monthly dermatology bill. Love all your products! As skin ages it needs revitalized . My skin could use some hydration This is cheaper than plastic surgery . And majorly less painful . The ingredients in these products are all top of the line so it sounds like they will definitely give you the results you’d expect at this price. Love these products. The masks are a treat, spoil my skin on the wknds!!!!! I have used this product and i love it. The skin care products dont leave you with dry skin. This collection is awesome! I never realized any cosmetics product line had real diamond powder in it, very interesting! What an amazing collection of luxurious skin care essentials! I would have to say these are the products I would pine for! It’s wonderful that you don’t need to use the Diamond Emulsion Capsules daily. The collection sounds amazing and unfortunately for me, I could never afford such a luxury. I definitely could only dream! I love what’s in this skincare line, sounds so luxurious! I would love to try it and I’m sure it’s worth the high price tag. Too bad they don’t have any samples to try the products out. I would love to pamper my skin with the Gem Diamond Collection. I need to get ready for winter! You had me at “diminishes the look of wrinkles”! I love that the Diamond Serum, can be used alone in the morning as a primer for foundation. Quality products! I love that The Lionesse Diamond collection uses such quality ingredients. As each year goes by and being 47 now, I look for great review’s on product’s before investing these days. I don’t have time for Spa Day’s so being able to use the Diamond Collection on my own time and relax at home. I didn’t know the Lionesse products are that expensive. The Diamond line sounds good, but the price is really a problem. Diamonds are a girl’s best friend for a reason! Seems like a great product. I’d love to try it. I’m sure my wife would love this product. I would love to try this just once in my life to say I have had some of the finer things in life! This truly looks amazing! The say Diamonds are a girls best friend…right? Thanks for review. Diamonds are the best friends of girls.))) And even in skincare too. This product looks amazing. Although it’s expensive, still cheaper than plastic surgery! I would so love to try this diamond collection. It sounds amazing! Bummer! Most of us regular citizens cant afford to spend $6,000 on beauty products, even if they ARE made with real diamond powder! Ill have to look in to one of the other four lines available from Lionesse, and hope like heck they arent as expensive lol. The Diamond collection definitely would be preferable to plastic surgery.The results of these products must be awesome. The Diamond Serum is definitely what I need for my skincare routine! The Diamond collection has lavish ingredients that are proven to calm skin, diminish the look of wrinkles and add a youthful glow. Instead of getting dangerous surgery, try this product for great results! Wow, sounds like an amazing product. I can’t imagine spending $6000 on facial care but you pay for quality. We just don’t have a budget to handle that. Would love this,I always take care of my skin,and this would enhance it!! This is a nice alternative to plastic surgery. I love that it has real diamond powder in the product. This makes me want to try the product even more! This product line really is a “diamond in the rough” because it’s going to transform your skin as though you’ve gone in to see your plastic surgeon for work or dermatologist for chemical peels or lasers. It is paramount for women to start a regimen now with the “Diamond Collection” for younger, radiant skin. The fact that you can use the Diamond Serum in the morning and pulls double duty as a makeup primer is a win/win. Trust me, when you get your skin looking 15 years younger, you will automatically feel that much younger all the way around. I luv the high-quality hair care tools and luxurious skin care essentials. If thie really worked like it say’s, I would definitely spend the money. The line includes 14 whole-face masks. Unfortunately, I can’t afford these luxury products. I wish I could, though. As I age, my skin really needs this type of pampering. The fact that Lionesse uses actual diamond powder blows my mind. With a price tag like that I’d never be able to afford it but I’m very interested in seeing some before and after pictures of the results. They say you get what you pay for, I imagine this is one of those things! I can imagine, after using these products, you’ll probably have movie star skin!! I like the fact that there are so many natural ingredients in the diamond collection. I really enjoy facial masks, I would absolutely love to try the Lionesse Diamond collection. I would especially love to try the eye masks. Thank you for sharing this review. too pricey for my budget, but these do look like great products. The article never really explained just what it is that the diamond is supposed to do for your skin? Wow! I would love to try these products! Extremely interesting article this product seems quite amazing! This is a wonderful beauty collection. These products sound absoultely amazing and I would love to try! The Lionesse products look absolutely amazing. I would love to try them out. What wonderful products.my sister and I have been looking for something different.Thanks so very much for sharing.we can’t wait to get ours to try. I really like that it is infused with avocado oil, vitamins and caffeine, Diamond Cream moisturizes deeply and leaves skin looking fresh and lively. Dying for a chance to use these products. I would love to try anything new that works..I order products often it gets expensive, I wish there was samples. but if it is god and worth I would buy it..
That’s cool that the Diamond Serum includes fruit extracts, rosemary and lavender oil to help bring out a youthful complexion. This product line sounds amazing! Real diamond powder! And as a woman who is considering lipo after having my 3rd and final child, I’d be willing to try this as well. I do plan to age gracefully! i would love to try this different product. It looks like it could be good. I just tried the Lionesse White Pearl day moisturizer and instantly felt my skin smoother and hydrated, plus it has a great scent! I imagine the rest of the Gem Collection is equally amazing. WOW! $6000! This is the highest cost skin/hair collection that I’ve come across. It’s very interesting that diamond powder is used. I have heard of gold dust/powder being used in some products. I would love to try this but I’m afraid I couldn’t even afford the sample sizes. The ingredients in the Linoesse Diamond collection sounds luxurious. I bet the Diamond Extracts smells wonderful too. My husband purchased some products for me. I am excited to try them out. While I’m sure the benefits are amazing, that price tag is ridiculous. While very pricey the Diamond powder infused serum would be a nice product to pamper myself with! $6000 is definitely a little steep for me but I love masks so much that would be more than tempted and other day! My question, though, is that it says it helps with wrinkles and etc. but does that mean the mask is geared towards mature women (and/or men)? I’ve never heard of any other product containing real diamond powder – very impressive! Wow If I ever hit the lottery I would try this! Knowing that there is real diamond powder and can get results without having to do surgery would be fabulous! I would love to try the masks 🙂 Now that I am 51 I need to start thinking more about my skin as I have seen aging appear in the last couple years. My elasticity is not as good as I would like it. I need some food for my skin like the Diamond Emulsion Capsules! Nice article I bookmarked because you never know when someday I might be able to try this. This set looks amazing! I have never used a product with real diamond powder before. My skin could definitely use some TLC and this pampering set sounds absolutely wonderful. I’m really intrigued by the Diamond Emulsion Capsules. I’ve had a rough few years with being diagnosed with Arnold-Chiari Brain Malformation and having brain and spine surgery last year. Being pampered would feel so good. Thank you! Well, this looks really good! Would love to try it out some time. Wow! The Lionesse Diamond collection sounds amazing. Love that it is infused with natural oils as well. I can’t believe it actually has real diamond powder in it! It sounds like it’s make with wonderful ingredients that every woman would want to use but unfortunately only the wealthy can afford. It’s probably a great line of products. I love the ingredients-oil caffeine and vitamins its worth the money ! I´d love to try these products. This is definitely what every woman needs. I need these Capsules! My skin is very dry after summer. I’m a big fan of rosemary. If I had the money I would totally buy that!! Real diamond powder?!! Wow! I didn’t know that diamond powder was supposed to be good for your skin. With this price tag, however, I doubt I will ever be trying it! Sounds like a modern day fountain of youth. I love that I can use the Diamond Serum alone in the morning as a primer for foundation. Oh my …. these products look amazing! I really like that they have fruit extracts, rosemary and lavender oil. The packaging is stunning. I would love to try these but at this price point I will never be able to. Unfortunately, the price point is way out of my league but as soon as I win the lottery, I may be back. Sounds like some fabulous products. I’ve never heard of a product that uses REAL diamond powder before this. I <3 it! I deff. wanna try it. While rather expensive, I do appreciate an alternative to surgery. looks like a luxurious product line! the results would have to be phenomenal to justify the price. This line sounds so amazing! I have heard so many great things about it from those that have used it, it really works! Great info. Thanks for sharing this with everyone!! This would be an amazing product to try! Can’t wait to try your products. I love that these products use fruits and other types of natural ingredients would love to get some of your products! I really really really, I mean, REALLY want to try this line of product. But the price is SO not for a broke college girl like me. I really have a bad dry and dull skin due to overnight deadline college task and other freelance coding. Kind of torn between ps or this line of product because both are pretty expensive for a student-loan taker like me. I love the ingredients used I think it would work wonderful on my skin. It’s really luxurious skin care essentials. Awesome review on the lionesse gem diamond collection, I love that this product is infused with avocado oil and caffeine I have tried products with avocado oil and caffeine and my skin loves it. I will definitely be looking more into this product. 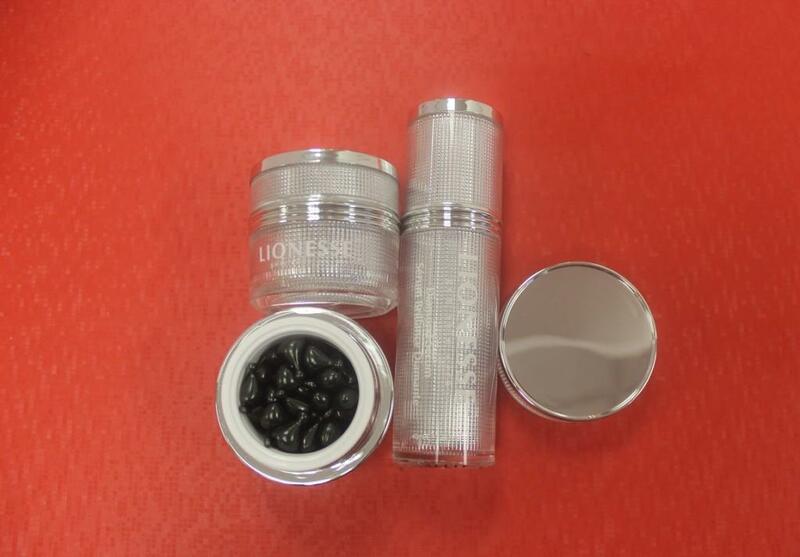 After reading the review, I truly believe that Lionesse is a great product for women. I love the idea of being able to have in home spa treatments when I want and in the privacy of my own home. Thank you for the great review. Sounds like a wonderful option for my skin! I have a question: is it applicable for all skin types? I’ve been hearing about some spas incorporating diamond facials into their offerings, and have been wanting to try one. The Diamond Collection looks like an amazing opportunity to try to incorporate the possible benefits of diamond powder in multiple steps of a beauty routine all in the comfort of your own home. The diamond powder coupled with ingredients that I already enjoy such as avocado oil, and lavender oil makes the line sound even more desirable. It sounds like a wonderful skin care line excited to use it. It’s really neat that this is made out of real diamond powder! How interesting! This article makes a good point that this might be an excellent alternative to plastic surgery. These products are expensive but the results make them worth the money. It takes expensive ingredients to get amazing results. Diamond Cream feels wonderful on your skin and makes you look younger and vibrant! In like a Lionesse, out like a lamb. The product name ‘Diamond’ itself attracts me a lot. A spa like result at home ! Truly, it’s a must buy collection ! This sounds terrific. I appreciate the natural ingredients & diamonds! well why not!!! I really like the use of avocado oil in the product since that is supposed to be really good for you! I had no idea that there were so many natural ingredients like lavender oil and caffeine included in their diamond line! I am impressed! They’ve really gone above and beyond this time! $6,000?! Wow! It would be a great splurge and I love that it is diamond infused. Wow!! I love the top shelf ingredients! What an amazing skincare line! The price tag is pretty hefty but the results are unbelievable!! I love that Lionesse Gem Diamond has ingredients like fruit extracts, rosemary and lavender oil. Oh, and diamond power! What girl doesn’t love diamonds. I really like that the Diamond collection contain lavish ingredients that are proven to calm skin, diminish the look of wrinkles and add a youthful glow. I decided this year, is the year that I am going to start taking better care of myself, weight and beauty! I love facials! This sounds amazing! I would love to try the eye mask ! Looks amazing! I’d love to try! Love all the natural ingredients! A bit pricey but totally worth it. I mean, there’s even diamonds in it. i look for avocado oil in products toO! OMG I love the package and I want to try this brand. Looks very special. $6000 is allot for a beauty product. Looks amazing though! It’s really interesting that this is made out of real diamond powder! How cool is that! I would so totally get the plastic surgery done. I would never spend that kind of money for skin care products, diamond powder infused or not. Sound like a good product.I like to try new things to see which is best for my skin care routine. Sounds like amazing skincare but very expensive! I need jaw dropping results. would love to try this! The Diamond Collection sounds rich when I say it 🙂 Would love to try! This collection sounds so luxurious! After a long winter, my skin would certainly love it. I love the Diamond Collection! Thanks for the review! I need a product that will calm my sensitive skin and diminish wrinkles! Sounds great! Wow looks like amazing products but at 6 grand this gal wouldnt be able to buy that. I would love to try the diamond line and get my youthful glow back! I need this Lioness Gem Line On My Counter!! Lovely Lioness as usual!! If money were no object I would love to try the whole collection. The Diamond Collection really does sound amazing! Diamond collection contain lavish ingredients that are proven to calm skin, diminish the look of wrinkles and add a youthful glow and i would love to try this out!! This is a amazing product, everyone should try it at least once. This would be like skin heaven! The Diamond Collection sounds amazing, would love to see the results on myself! BEEN HEARING GOOD THINGS ABOUT TJIS. I WANNA TRY THEM. This WOULD be great for ME. BECAUSE me and my daughter was sharing hair STUFF and she moved out now i have no hair STUFF at all. I ‘ve always wanted to try this! I’m keeping my fingers crossed! The Diamond Collection sounds very elegant and able to penetrate through tough aging skin. I’d love to try it, but it’s way to expensive for me!!!! It must be true; diamonds ARE a girl’s best friend! Diamond Collection sounds awesome but pricey. This looks like a very Awesome Product ! I have bought Lionnesse products. Eye shadows, Mascara and bronzer. This Diamonds collection sounds amazing! it’s a must buy collection. Love the ingredients, besides crushed diamonds, avocado and essential oils. Would love to try it! A Diamond Collection for my face?! Absolutely love this! Wow, I can’t wait to try these out. I cant even imagine how something like this would feel or work. My skin would likely think it had died and went to heaven. Diamonds? My goodness I would adore something like this and this is my only way to try it because I certainly cant afford this any other way! (well unless I won the lotto!) ha! It sounds like a very interesting product. Would love to try the whole collection! I would love to try this! Sounds beautiful! Sounds fancy! I’d love to try it! The Diamond line looks amazing. I would love to try it. I would like to try this. I like to try things before I start buying them especially if they are kind of pricey. This sounds like it can help me especially with me being in my 40s now. This would be fantastic. Unfortunately, I choose to live indoors over having great skin. 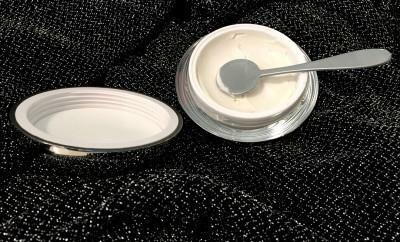 I think that it’s great that it’s infused with avocado oil, vitamins and caffeine, Diamond Cream moisturizes deeply and leaves skin looking fresh and lively. I love all the natural properties of these set!!! Unfortunately I wouldn’t be able to afford this but it sounds amazing! Sound like this line is nothing short of amazing! Would love to try! I would love to try the capsules. The whole collection would be awesome for my old skin. I am now in my 50’s and products like the Diamond collection is nice to see on the market for those who don’t want to go with plastic surgery. Real diamond powder? Wow, who wouldn’t want to try this brilliant product? All the benefits my skin needs! Thanks for the information! Would be great to try these products. I love all the oil and extracts that fill these products! I hadn’t heard of Lioness Gem Diamond Collection until now and can’t wait to try it! Thanks for the review. Wooowww I wanna try those Products.. This sounds so luxurious. When I read that the products deliver jaw-dropping results, I was all in. I also love that you can use the products separately. I’m most interested in the moisturizing effects they give. I try hard to keep my skin looking dewy and supple. Ooh I love that it has avocado oil in it. We all want to look younger so the Diamond collection is awesome I love that is has fruit extracts, rosemary and lavender oil in it. I love that the cream is infused with avocado oil, vitamins and caffeine! Me either this looks fantastic! The products sound good but the price is too rich for me!! I could really use the whole collection. Thank you for the chance. Seems like a good alternative to invasive cosmetic procedures! Wonderful review.I have many women in my world that will love to have this.Thanks so much for sharing. this sounds like one of the best products out there. thanks so much for the review! This is something my mother would probably be interested in. Diamonds really are a girl’s best friend! Looks like a great thing for ageing skin! The perfect combo of vitamins , minerals and beauty! I would love to try the collection! Haven’t come across this product before. I love all Lionesse products. I wish I could afford the retail prices rather than having to find deals! The are worth the extra work though! I would love try these products. Wow! Would love to try soon. These products sound wonderful however even if I had the money to spend this on skincare I would definitely have to see results personally before purchasing. I am not saying anything negatively, only that there are so many false claims in the works today that I’ve become a skeptic until I see actual results. I would love to be able to try though. You all sure know how to work miracles. Great review, i would really love to try these ! I’d love to try the Diamond Cream! Love that it’s infused with avocado, vitamins, and caffeine! Awesome review, thank you, I love it. Your products are now on my must try list! I’m so excited! The Diamond Collection sounds wonderful! I’m in my 50’s and this so much better than plastic surgery! Awesome review! This definitely looks like a great product! It may be costly, but that most likely means amazing results! Also, it is absolutely far cheaper and way less dangerous than surgery! Wonder products! I would LOVE to have it! Thank you for the opportunity! I am 57 and would find it amazing if something would work on my like to say this product would. What a beautiful collection.I love that the Diamond serum can be used alone or as a primer before makeup in the morning. I also love the collection is infused with avocado oil, vitamins and caffeine.So lovely. Will definitely be looking into this further..thanks for sharing.. Sounds like a wonderful product.I would love to try this. What an amazing collection of luxurious skin care essentials! Expensive but worth every penny! I would definitely give this a try if were older and could afford it. Plastic surgery would never be an option for me, so the Lioness Diamond Collection with it’s natural ingredients seems like a great alternative. I definitely would love to try this product but $6.000??? thats a lot!! this stuff must be crazy good then! This is such an amazing collection! Really helpful and makes my skin so smooth. Diamonsa are a girls best friend. Especially if they make me look good! I just love your products!!! I am hoping to win this for my wife. Looks amazing! I’d love to win this! Wonderful review! ! You are Very Good! Love, love, love your page! Always so informative! The collection looks amazing! I would love to try these products but there is no way I could afford $6000. I’m very interested in your diamond Lionesse Gem Diamond Collection. I would love to try a sample! I would love to transform my skin and complexion! Cool stuff, love it, can’t wait to try these products… Do u sell samples? I love how this uses real diamond powder. How neat! Great info about a fine product. Thanks for sharing! The powder is amazing! Need more! Hai,… it would be amazing if i got this product. Best and gold product,…. i really hope! I so want to try this!!! I bet it’s amazing. am anxious to learn more of your products. Thanks for posting. Learned something new today as always. Love all the Lionesse products. You can see the quality. great tips and products! Thank you! These products have such interesting ingredients. I love that the Diamond Cream has avocado oil. Wow, price talks! I’ve never heard of this brand but it’s definitely interesting. It must work great. whats not to like about absolutely anything that has diamonds in it????? Wow! I would love to splurge on these products. I have a lottery ticket here, if I win I am buying! Would love oto try this collection out. I can’t believe they use diamond powder. This sound like an awesome product, would love to try this. I heard their products are really good. They are on my wishlist. I have wanted to try your products for a long time. Love all this but wow very pricey for my pocketbook. Great blog so much info on a great product wd defo recommend to my friends. I’ve been wanting to try one of these and see what great things it could do for my hair. Lionesse makes quality products and I would love to try them on my skin. wow this is definitely out of my price range! My wife loves this collection. It is so luxurious. Wow, these sound so awesome. I sure would love to try these products as since I moved to MT, my skin has become so dry and my complexion has really changed for the worse. Ive tried the serum and it works wonders !